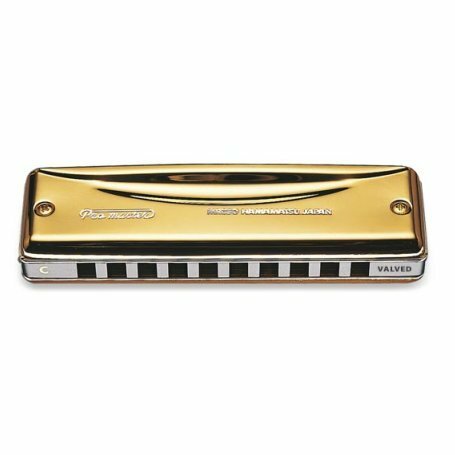 The Suzuki Promaster Gold is a limited production version of the Promaster valved harmonica and features a black anodised, machined alloy comb. 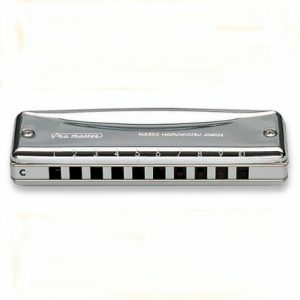 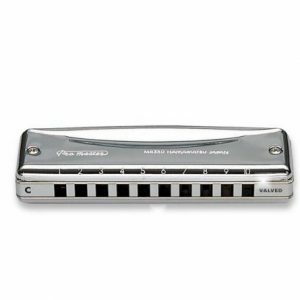 The laser tuned, valved reeds are secured by screws, making it a precision tuned and airtight harmonica, for clarity of tone and is ideal for note bending. 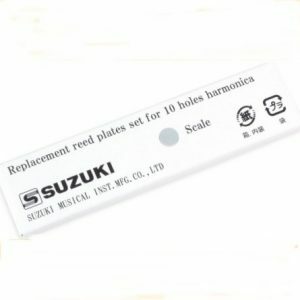 The top and bottom cover plates are coated in 18 carat gold and the phoshor bronze reeds are replaceable. 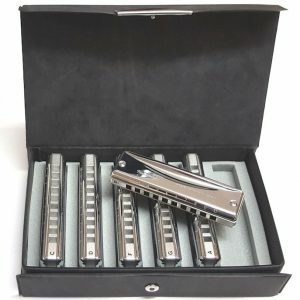 Includes a black soft lined case.